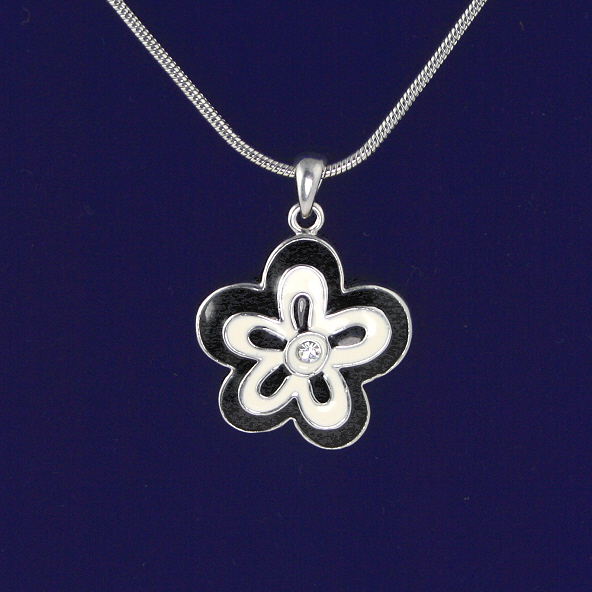 Eye catching black and white enamelled flower necklace with white central diamanté. Adjustable chain, 16" to 18" length. This costume jewellery necklace comes in a presentation box.